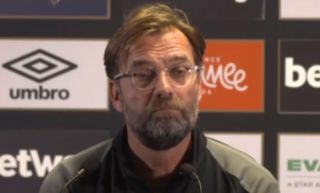 Liverpool manager Jurgen Klopp aimed a dig back at West Ham star Mark Noble, following his apparent comments that his side ‘scared’ the Reds yesterday evening. LFC dropped points at the London Stadium, with Sadio Mane’s opener cancelled out by Michail Antonio in the first half. Liverpool couldn’t go on and find a win and were perhaps lucky to avoid defeat on the night, but Klopp wasn’t buying Noble’s claims that his players were scared. Watch the video below as the German tactician aims a cheeky dig back at the Hammers ace by saying he wishes they could scare more teams and improve their results this season!